Showing results for "breville espresso"
eBay Breville Infuser Espresso Machine (BES840XL) NEW! 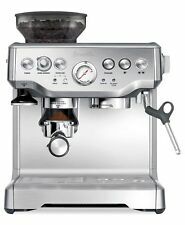 eBay Breville BES840XL /A The INFUSER Espresso, Brand New in Box. Never Opened. Breville BEC250 8-Pack Espresso Cleaning Tablets, White Product Features Precision dissolution time to provide optimal cleaning performance All pharmaceutical and food grade ingredients Non-corrosive formulation to protect the espresso machine Regular cleaning is a key ingredient to producing great tasting cream Extends the life of your machine Product Description The breville bec250 packet of 8 espresso cleaning tablets are designed to safely and completely remove coffee oils and residues from the shower screen and filter baskets. 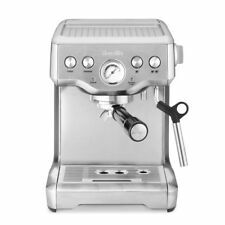 suitable for use with the dual boiler bes900xl, the barista express bes860xl and the infuser bes840xl.